what a filly this is! The third of Mill Park’s offerings by Northern Meteor’s Group 1 Caulfield Guineas winner Shooting To Win, and what a filly this is – one that any stud master would be over the moon to have as part of their broodmare band. A Group 3 winner and multiple Group 1 placed, Dane Belltar is the dam of five foals to race, all winners with the $3.8 million earner Fawkner, a triple Group 1 winner the flag bearer. A winner of 11 races on the track, six at black type level, the Reset gelding Fawkner was a star of the turf over many seasons. Fawkner’s year older brother Tanby, is the winner of 10 races and over $1.1 million in earnings for his connections, including dual Group 2 victories, and a third placed performance in the Group 1 Australian Cup. 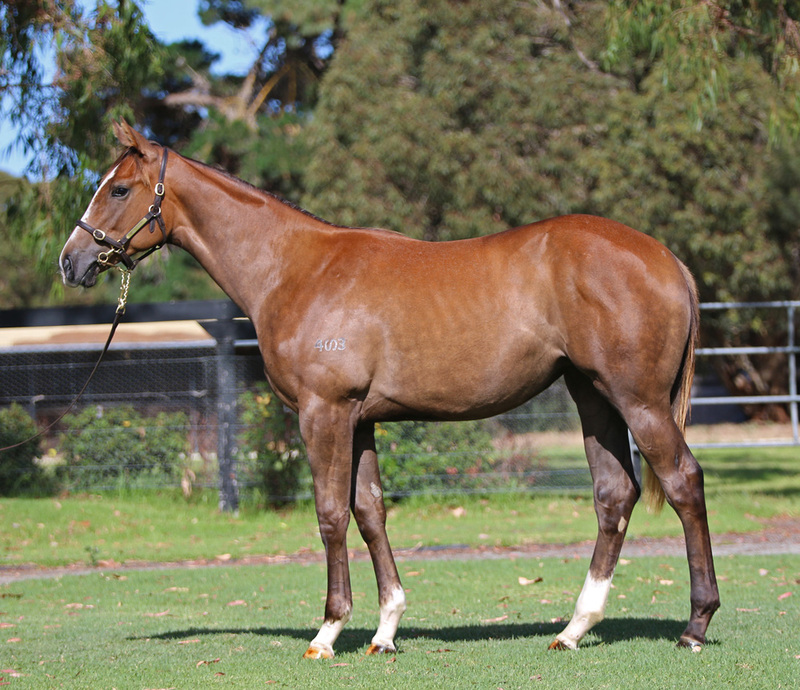 The current two-year-old, a colt by Sebring was secured by the formidable Gai Waterhouse and Adrian Bott team for $420,000 at the Inglis Easter yearling sale in 2017, and the mare foaled a More Than Ready colt this season. With 19 stakes performers out of Danewin mares, Fawkner is not the only Group 1 winner, with the former Gary Portelli-trained Gold Trail proving successful in the Railway Handicap in New Zealand.